Get your FreeWheel Freedom Today! Try the FreeWheel first and pay later. You can also choose monthly instalments! The FreeWheel has helped so many of our customers expand their horizons in where and how they push. Grass, gravel, sand, trails (within reason!) – they won’t stop you. You can try the FreeWheel free for 14 days with our exclusive special offer only available from Invictus Active. Try it for 14 days before you decide to keep and pay for it. If for any reason you don’t like the FreeWheel, contact us to cancel and we’ll arrange for the item to be collected, without any obligation or fees. 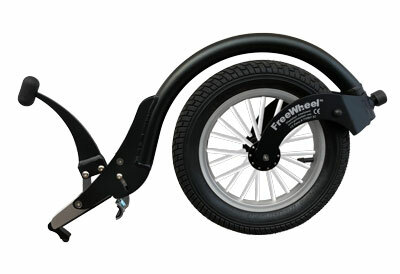 With its clever design, the FreeWheel can adjust and clip onto any manual wheelchair with a footrest. Quality Engineering. The FreeWheel raises your front castors off the ground using its large front wheel. This allows you push on grass, sand, dirt, gravel… the list goes on! With the FreeWheel added to your chair you can now access a whole new range of areas which previously were extremely difficult. Pick a payment plan that best suits your finances. Remember this a free trial so you don’t pay anything until after your 14 days. Only after 14 days and if you are happy with the trainer will your payment will be taken from the card details you enter. You can cancel anytime within your 14 days by emailing trial@invictusactive.com and you will not be charged once the trainer is returned to us undamaged. Try the FreeWheel FREE for 14 days (+ 5 days delivery period). Delivery is free and you can cancel at any time. If you keep the FreeWheel you will be charged £339 or your total at the end of your Trial. 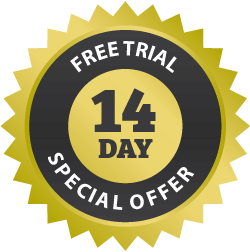 Full Price Trial includes 14-day free trial with full payment due upon completion. Instalment Plan Trial includes 14-day free trial but breaks your total amount into 3 monthly payments. If you’re not sure if you need a folding adapter, click the green explanation button. To learn more about All Terrain Wheels, click the blue explanation button. Please enter your contact number in case we need to contact you for delivery. This is your total price after your Free Trial. If you have chosen an instalment plan, this total will be charged in 3 monthly payments. Do you need a folding adapter? Do you have a folding Wheelchair? What are All Terrain Wheels? 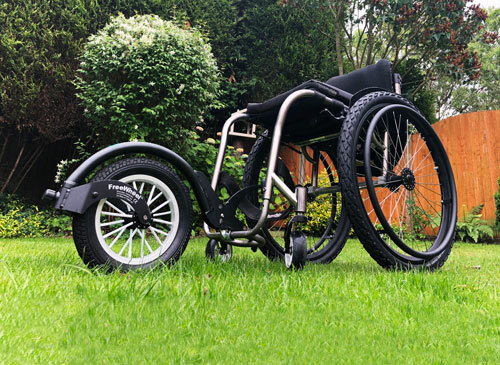 Our off-road wheelchair wheels let you use your wheelchair wherever you want. These heavy-duty wheels and all-terrain tyres give you freedom without fear. Add these amazing wheels to your FreeWheel Order and you have an unstoppable combo to tackle pretty much any surface. How to measure a Wheel Pin? If you wish to add All Terrain wheels to your order, you need to measure the width of your wheel pin (quick release pin). This allows more space for the larger wheels to fit your chair. Measure the length of pin out of your wheels to the ball bearings. Add this to 50mm (off road hub width). The answer to this is the length of pins you need. Add the OFF ROAD Package! Turn your chair into an All Terrain Machine with our Off Road Wheels add-on. Together with the FreeWheel Wheelchair Attachment, this is the complete package! These 24 inch (but suitable if you have 25 inch too) off-road wheelchair wheels let gives you the freedom to use your wheelchair wherever you want. The HEAVY-DUTY wheels and ALL-TERRAIN TYRES give you freedom without fear. Enjoy tackling any kind of tricky terrain with the security that these off road wheelchair wheels will provide. Select YES on the All Terrain option above to add these monster wheels to make you unstoppable on any terrain.